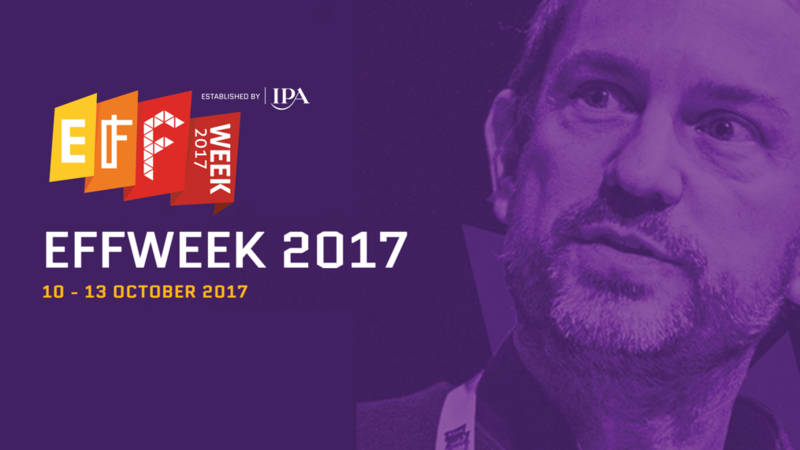 The second edition of Effweek kicks off today with a packed schedule of more than 80 sessions, bringing together marketers, C-Suite executives, agencies, media organisations and industry bodies to look at the ways in which to help marketers and brands make their marketing more effective in the digital era. EffWorks is a reservoir of learning, research and debate about marketing effectiveness. It was established in 2016 by the IPA and a host of industry partners. The ambition is to set the agenda for marketing in the digital era, to inform and inspire all stakeholders, and to create culture-change. Taking place across the 10-13th October at CodeNode and a series of satellite venues, today’s schedule will see Mill+ Creative Director Carl Addy take to the stage to discuss ‘Marketing Effectiveness in the Digital Era’, alongside speaker and President of the IPA/ CEO of CHI&Partners Sarah Golding, as well as Adam Collins of R/GA, Dr Rob McInerney of Intelligent Layer and Freya Murray of Google Arts and Culture Lab. This year we are also pleased to be able to showcase our latest VR content as part of a Mill Experience emerging tech demo space at this evening’s Networking Drinks Reception.